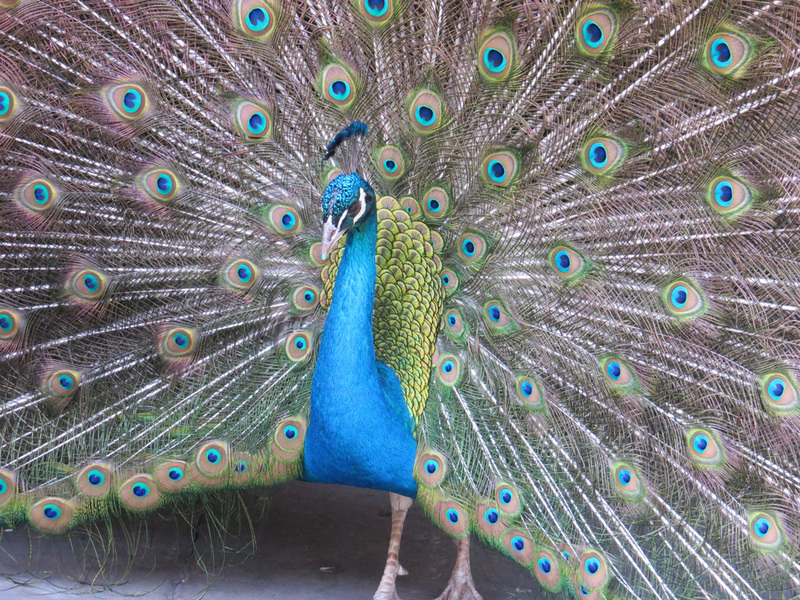 Two great places to see peacocks are the grounds of the Cathedral of St. John the Divine in Morningside Heights, Manhattan, and at the Bronx Zoo. 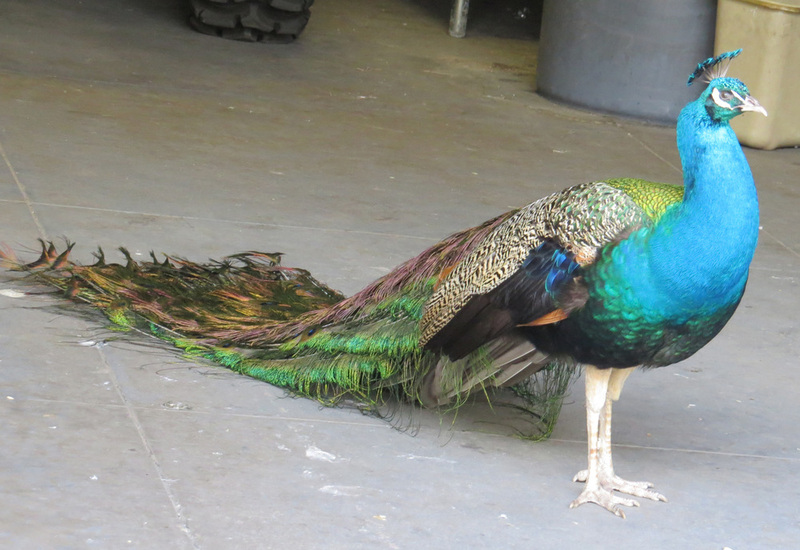 There are three peacocks at St. John the Divine, and many peacocks and peahens at the Bronx Zoo. 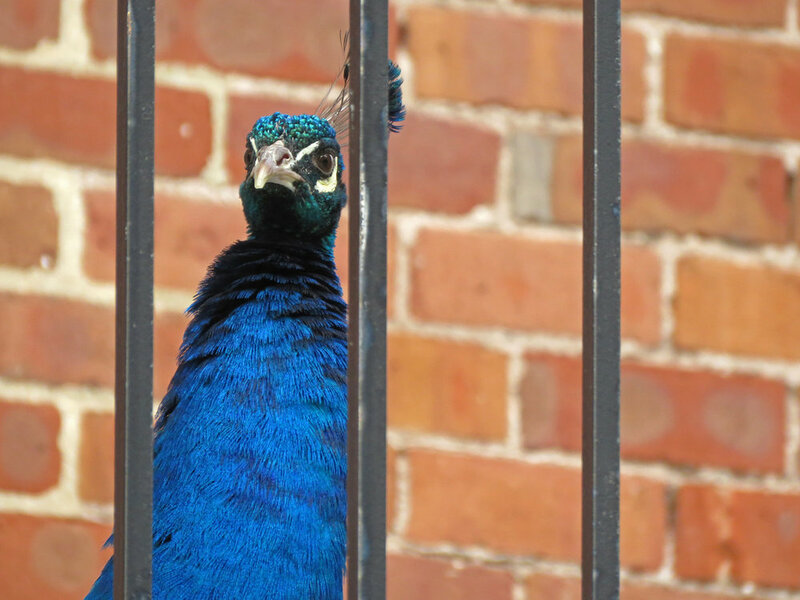 This video celebrates the three peacocks — Phil, Harry and Jim — who reside on the grounds of St. John the Divine. It was shot on March 11, 2016. 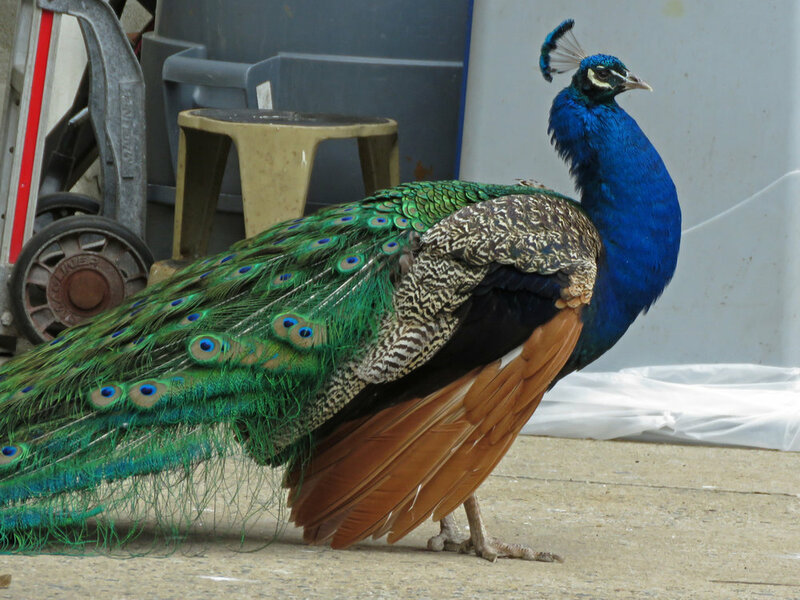 These photos of the three peacocks were taken April 22 and March 11, 2016. The first shows a nice closeup of Harry, who was displaying most of the time we watched him. 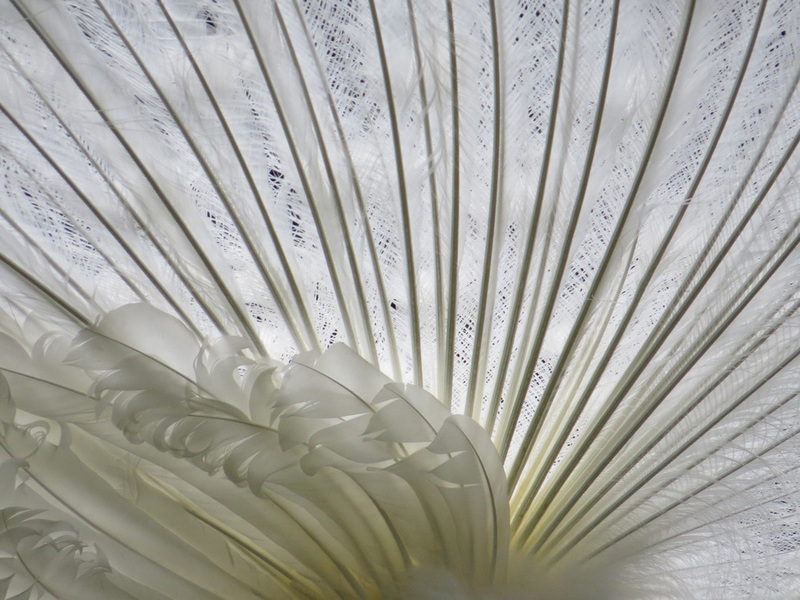 Below, Phil Peacock on April 22, 2016. Harry, Phil and Jim Peacock, March 11, 2016. The first shot on the left is Phil. The shot on the right is Jim.